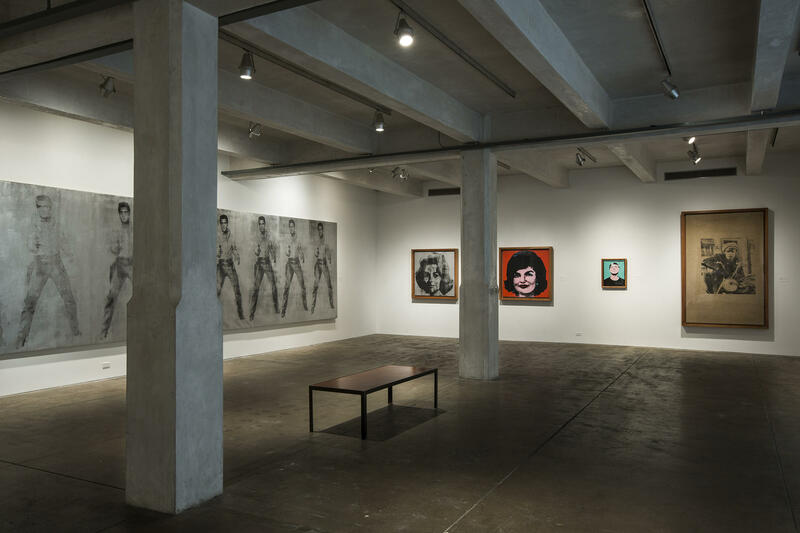 Andy Warhol's early pop art displayed on the sixth floor of the The Andy Warhol Museum in Pittsburgh's North Side. But even without a human guide, all visitors -- including those with visual impairments -- will soon have a tool to let them know where they are and what’s around them in the space thanks to the organization’s first audio guide. 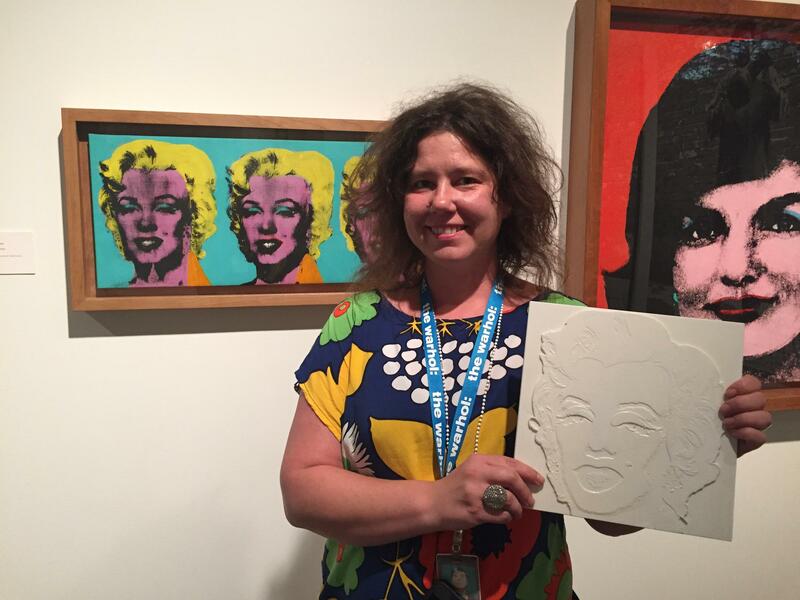 Leah Morelli of the Andy Warhol Museum holds a tactile reproduction of Warhol's classic screenprinted painting of Marilyn Monroe. Chris Maury, 29, who provided feedback throughout its design process, said he’s looking forward to the app's official launch. Danielle Linzer, the Warhol's curator of education and interpretation, said making a welcoming and accessible space is about anticipating diversity while creating physical spaces, programming and products. If you are out and about in Pittsburgh, be on the lookout for discarded books which read, “This Is A Lost Book”—it just might be your ticket to a prize. There are 70 million wheel chair users worldwide. Our guests Dr. Rory Cooper and Dr. Jon Pearlman are helping to create new standards for as many of them as possible. The doctors are co-directors of Pitt’s School of Health and Rehabilitation Sciences, and this month they’re launching the International Society of Wheelchair Professionals and they discuss how their work will impact wheel chair users around the world. “The whole goal of this society is to provide opportunities to everyone around the world who needs access to a wheelchair,” says Dr. Cooper, who uses a wheel chair for mobility. The Americans with Disabilities Act was signed into law 25 years ago on Sunday. The act was a major step toward full-scale accessibility for citizens with disabilities, but according to many, there are still substantial barriers in place. Pop artist Andy Warhol is famous for his Campbell’s Soup and colorful Marilyn Monroe screen prints. However, many do not realize Warhol also directed and shot hundreds of films and videos over a decade-long period. The Andy Warhol Museum (The Warhol) is partnering with the Museum of Modern Art (MoMA) and digital effects company MPC to restore and digitize almost 600 films made by Warhol, many of which have never been seen by the public. Is Access To An Organ Transplant A Right? State Sen. John Sabatina (D-Philadelphia) believes the Americans with Disabilities Act has greatly improved access to the physical world and employment for those with special needs since its passage 25 years ago, but says it has fallen short when it comes to protecting life. Individuals with mental or physical disabilities are often denied the opportunity to be listed on organ transplant lists because of their disability, he said. Sabatina introduced legislation to change that as a House member in February, and said he intends to file a similar measure as a freshman member of the Senate. Exposure to fine particulate air pollution is associated with increased risk of childhood autism, according to a study carried out by University of Pittsburgh researchers and published in the Journal of Environmental Research. Researchers did a population-based, case-control study of families with children with and without autism spectrum disorders in Allegheny, Armstrong, Beaver, Butler, Washington and Westmoreland counties. For those with sensory sensitivities or autism spectrum disorder, a night out at the theater might seem impossible. But this holiday season, the Pittsburgh Ballet Theatre is hosting its second sensory-friendly production of "The Nutcracker," making the performance and venue more accessible. Ethan Welker is a 15-year-old freshman at the University School, a private college prep school in Shadyside. His mom Michele Welker says he’s a smart and curious boy.